The Royal Garden was founded in 1534 by Ferdinand I. The gardens below Prague Castle offer amazing views of Prague and a great opportunity to take some fairy tale photographs of this fairy tale town. You can walk the whole way around Prague Castle and entrance to all gardens is free. The Royal Garden is the most splendid. A geometrical and formal Renaissance garden, it’s attached to the Summer Palace and contains two truly lovely features – The Singing Fountain and The Royal Gazebo. The Singing Fountain really does sing, it sounds like bells, but to hear it you have to put your ear right up to the lower bowl. The Royal Garden was constructed in 1534 on the orders of Ferdinand I. It represents, in the development of Prague Castle, a move away from structures focussed on war and defence to structures for pleasure and beauty. The Ball Game Hall, the Royal Summer Palace, a maze, an aviary, a shooting range and the Lion’s Court menagerie were all built for the entertainment of the Royal Court. The Royal Garden also became a repository for rare and exotic plant species from all around the world. It was one of the first European gardens to grow tulips, a gift from the Turkish Ambassador. In fact, it was in this Prague nursery that tulips were acclimatized to the European conditions and were enabled to spread to the rest of the continent. If it hadn’t been for the Turkish Ambassador and the Royal Garden, the tulip craze may never have happened and tulips may never have found their way to Holland. The Southern Gardens occupy the steep hill south of Prague Castle. In the Middle Ages, this area was all vineyards but in the 16th century the vineyards were replaced by gardens designed in the Italian style – very formal and arranged in terraces and dotted with elaborate statues, sculptures and fountains. The Garden of Paradise is the first garden to the west, nearest Hradčany Square (Hradčanské Náměsti), dates from the 1559 when one of the Prague Castle moats was filled in for the purpose of creating a nobleman’s garden. It was re-designed by Slovenian architect Jože Plečnik in the 1920s. Plečnik had been hired by President Tomáš Masaryk as chief architect in the renovation of Prague Castle. Plečnik designed monuments and sculptures and the Plečnik Hall in addition to the Garden of Paradise and its neighbouring garden, The Garden on the Ramparts, which is a much newer garden. A parkland in the 19th century, the Garden on the Ramparts has the best views of Prague anywhere in the city and is remarkably quiet and free of the tourist throng. It gets its name from the narrow rampart running along the side of the castle. You can sit on this wall with your legs dangling over just taking in the view. The Bull Steps, also the work of Plečnik, lead up to the Garden on the Ramparts from the third Castle courtyard. The Hartig Garden is the last garden in the trilogy that makes up the Southern Gardens. It is the newest of the three, having been re-designed in the sixties, and contains a Music Pavilion. 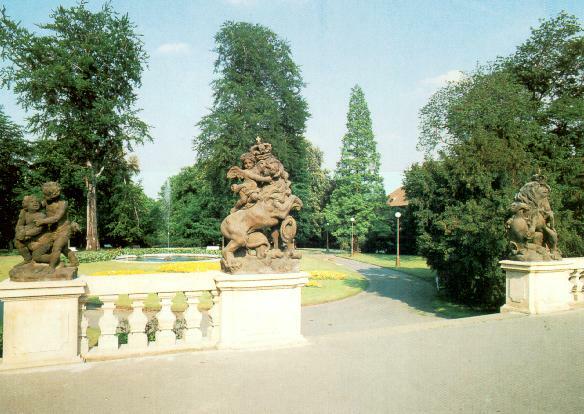 The garden as it is today is the work of architect Josip Plecnik from 1930. To the west of the Royal and Southern Gardens lie two very small gardens. 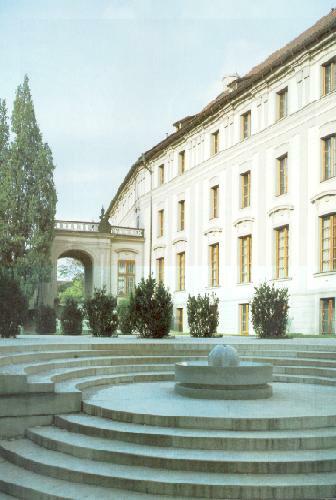 The Garden on the Bastion was created in 1861 and was re-designed in 1930 by Jože Plečnik. The Riding School Terrace Garden was first designed in 1950 and took six years to build. It was constructed on the roofs of the garages attached to the President’s office. Its architect was Pavel Janak. The Gardens are open from 10 am to 6 pm. Entrance is free. The Royal and Southern Gardens are closed during winter but the Garden on the Bastion and the Garden on the Riding School Terrace are open all year around.